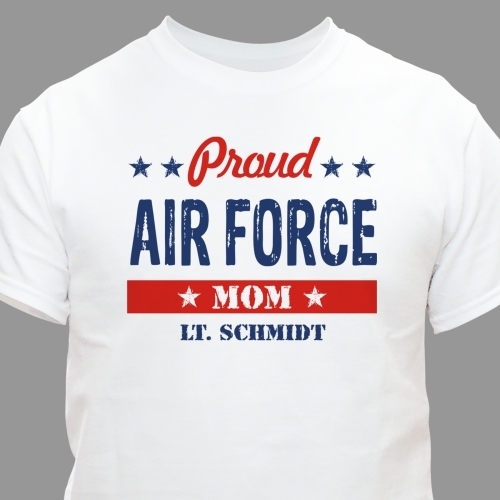 Humbly show your pride in the United States Military and the family member fighting for this great country as you wear one of these patriotic Personalized T-Shirts. 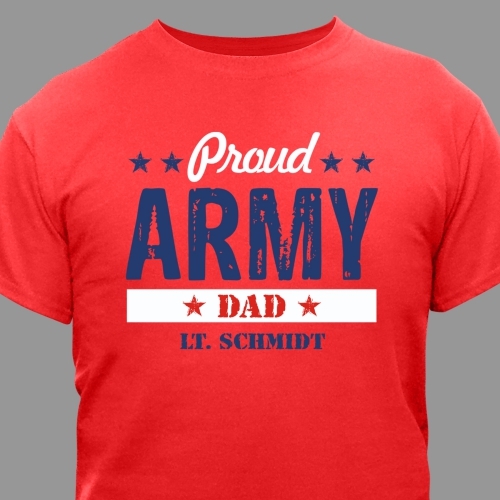 Personalized with any military branch, title and name, this Personalized Shirt is ideal for welcoming home your soldier. 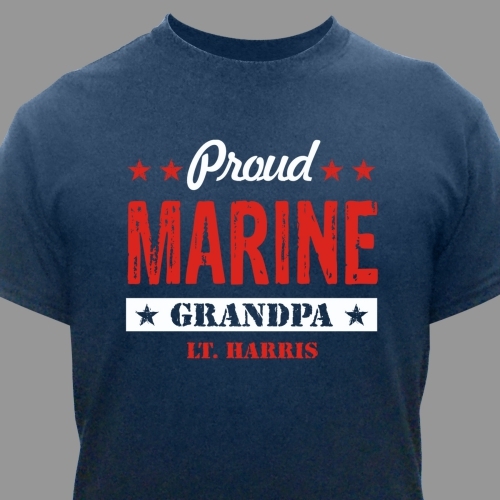 Great looking shirt but size runs small. They were perfect and the rest of the family plan to order theirs soon.